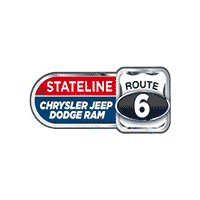 Welcome to Stateline CJDR’s Community Events page! Each month we list three popular events that are happening around the Somerset, MA area. Read on below and make sure to check back every month to see what’s hot around Somerset! Sojourner House’s 8th annual Masquerade Ball will return to the Providence Biltmore on Friday, November 16, 2018! This year, we are inviting our guests to join us for A Night in Paris! Save time and money… Expect a fun filled afternoon for you and entire bridal party, see the latest bridal fashion and formalwear, numerous demonstrations, taste delicious foods, decadent wedding cakes and desserts, try products, take home complimentary samples, save with special show deals and win thousands in fabulous prizes! Come listen to a reading by novelist Adriana Trigiani! She is the author of Tony’s Wife and all proceeds will benefit the Origin Project.